Undo the damage of dryer mishaps with these simple steps to stretch your favorite garments back to their original size. Have you ever reached for a favorite sweater or pair of jeans only to find that its last spin in the hot dryer caused it to shrink? Before you deem it a lost cause and toss it into the donation bin, try the technique here. With a few household items and a little care, it’s often possible to relax the fibers of the garment enough to make it fit comfortably again. This method for how to “unshrink” clothes works especially well with looser weaves like cotton, wool, or jersey, since the fibers in those fabrics relax and stretch relatively easily. Tighter weaves, such as silk and synthetics, are more resistant to stretching, but it’s worth a try, especially if the original shrinkage was minimal. (Just take care not to tug too zealously and overstretch items!) Follow these steps to make those wardrobe go-tos comfortable and flattering again. Fill a large, clean bucket or plugged sink with lukewarm water. For every quart of water, pour in about a tablespoon of gentle conditioner (one labeled as “for sensitive scalps” will not contain a lot of extra ingredients) or baby shampoo and stir until you see a few bubbles. Conditioner, used to soften and relax hair, can have the same effect on clothing fibers and allow them to stretch. In the case of baby shampoo, its extra soothing formula can accomplish similar results. Immerse the article of clothing completely in the lukewarm water and let it sit undisturbed for between 30 minutes and one hour. 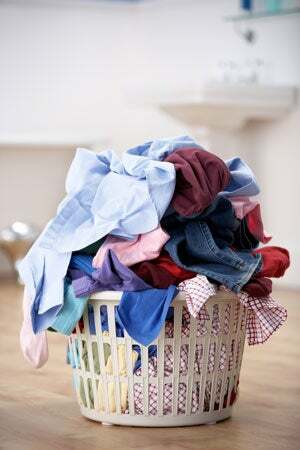 Remove the garment, and give it a minute for excess water too drip back into the sink or bucket. Do not wring or rinse—let the hair product remain in the clothing to continue to relax the fibers. Lay the item completely flat on a large, absorbent bath towel. Then, roll up the towel as if making a jellyroll with the clothing as the filling. Let this roll sit for only 10 to 15 minutes so that the towel doesn’t dry out your sweater or shirt. The clothing should still be damp, but not soaking wet. 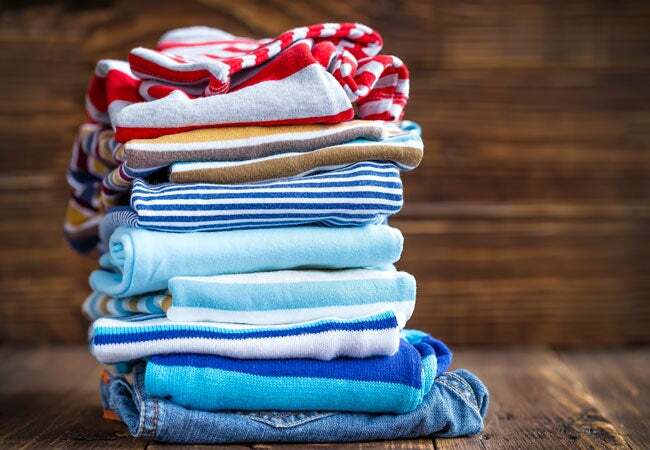 Spread a second dry bath towel on a flat surface and place the clothes on top. Now, focus on one section of the clothing. With a firm but gentle grip, tug at opposite sides of that area on the shrunken apparel with your hands and hold each stretch in place for a few seconds. (For example, you may grasp at both side seems near the bottom hem of a shirt to “unshrink” the waist, or tug at the shoulder and the wrist of a long-sleeved sweater in order to lengthen the arm.) Be sure to work carefully so the clothing will not only stretch but remain proportional. Once you have the size you want, lay that part flat against the towel and immediately place a heavy book or a large paperweight on top of that section in order to hold the stretch in place. Repeat this process for every section you hope to unshrink until you have a blouse, sweater, cardigan, T-shirt, or pants covered in books. Keep the books or paperweights in place until the clothes completely air dry. Afterward, its ready for wearing! The stretched clothes shouldn’t feel stiff or soapy; if you notice the texture has changed a bit, feel free to wash it before use. Only, this time, check the care label inside to avoid the same dryer mishaps that shrunk it in the first place.